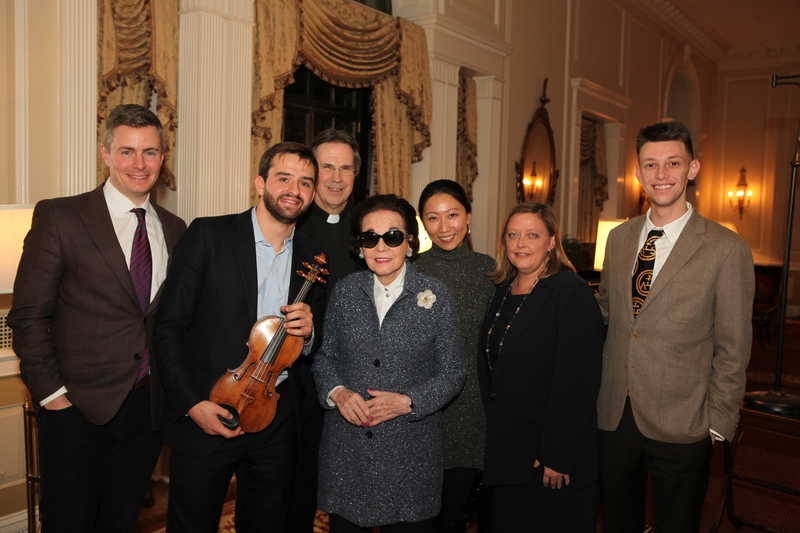 Congratulations to violinist William Hagen who is now the recipient of an extraordinary violin by Giuseppe Guarneri del Gesù, Cremona, 1735, “Sennhauser,” on loan from The Stradivari Society thanks to the gracious generosity of his patron. At twenty-three, William Hagen is well on his way to a major career. William has been hailed as a “brilliant virtuoso…a standout” by The Dallas Morning News. 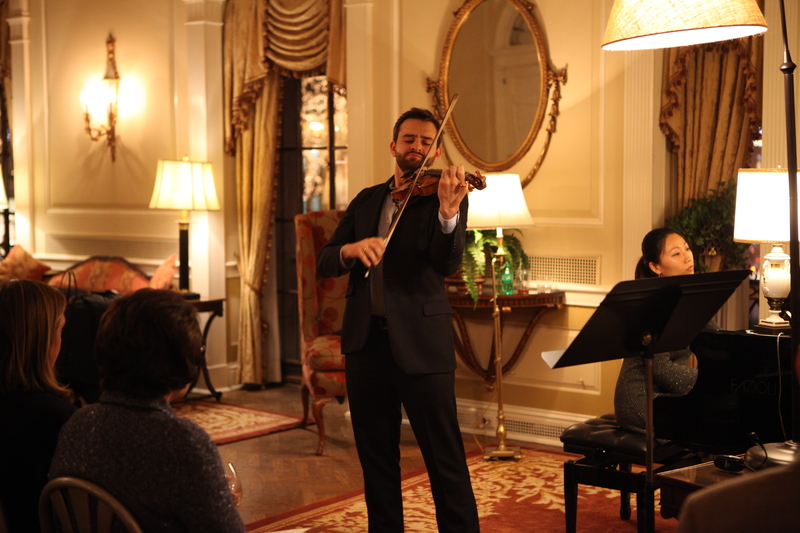 Violinist.com praised his “… intellectual command of line and score, and just the right amount of power.” He won third prize at the 2015 Queen Elisabeth Competition and is the highest ranking American at that competition since 1985. Recent performances include return engagements with the Utah Symphony at the Deer Valley Music Festival, Jacksonville Symphony Orchestra, and the Aspen Music Festival and School; recitals in Brussels, Los Angeles, Tokyo, and at the Colmar Festival in France, and performances with Gidon Kremer, Christian Tetzlaff, and Steven Isserlis as part of the Chamber Music Connects the World Festival at the Kronberg Academy in Germany. An active and enthusiastic chamber musician, William has performed with the Jupiter Symphony Chamber Players in New York City, the Colburn Chamber Music Society as well as pianist Menahem Pressler in Los Angeles, and at the Aspen Music Festival and School. A seasoned orchestral soloist, William has performed with the Albany, Fort Worth, Jacksonville, St. Louis, Utah, and Shreveport symphonies; and the Buffalo and Aspen philharmonics along with the Brussels Philharmonic, the National Orchestra of Belgium, the ORF Radio-Sinfonieorchester, the Sofia Philharmonic Orchestra, and with the Orchestre Philharmonique Royal de Liège as part of a tour of Belgium. He has also performed in Japan with the Yokohama Sinfonietta and the Sendai Philharmonic Orchestra. A native of Utah, William began studying with Robert Lipsett at the Colburn Community School of Performing Arts at age ten, commuting to Los Angeles every week for lessons. After studying with Itzhak Perlman at The Juilliard School for two years, William returned to Los Angeles in 2012 to continue studying with Robert Lipsett at the Colburn Conservatory of Music. The violinist now attends the prestigious Kronberg Academy in Germany. He is an alumnus of the Verbier Academy and the Perlman Music Program, and spent many summers at the Aspen Music Festival and School. For more about this exceptionally gifted artist, go to www.williamhagen.com.